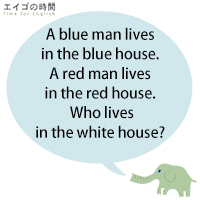 A blue man lives in the blue house. A red man lives in the red house. Who lives in the white house?